It is always a happy moment when a family buys a house. Their dreams are fulfilled when they see their children playing happily at the backyard of their own house. Moments like these brings happy tears in one’s eyes. But the real sad tears come when thinking to maintain this dream. There are many things like maintaining the backyard, cleaning the utensils, washing clothes, and most difficult thing is perhaps cleaning the carpet. 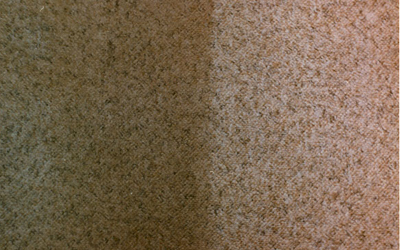 Cleaning carpet in Moorestown, NJ can literally test your patience, as sometimes vacuum cleaner might not work, changing its brushes, cleaning the corners, and many more. For some people cleaning carpets are essential as they might be allergic to dust, and some might worry about small children might get affected with dust or small particles. There are many such reasons for keeping your carpet clean. It will be impossible for you to clean the carpet every day, or even every week. But you have no choice! Well, that is what you believe, but now everything is going to change. There are professional carpet cleaners, who can reduce your work stress. There are people who will come to your house, clean your carpets, and leave. You can call them anytime you want, once a week, alternate week, once a month, alternate month, anyway you want. You can take trial first and if you like their work, you can tell them whenever you wish. You just need to inform them one day before so that they keep their time free for you. Sounds easy right! It is, just call them and solve all your problems. Now you can even have parties also and not worry if someone spills anything on carpet, as you have a solution which is professional carpet cleaner. So, no more worries about dust allergy or having dogs spreading its air or spilling something, just call Professional Carpet Cleaner in Moorestown, NJ!!! !